The timing belt’s job is to synchronize the movement of the camshaft and crankshaft. The timing belt will become worn over time due to temperature and stress. The belts are made of rubber and will crack and even burst. 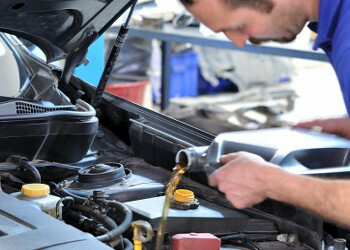 One of our highly experienced professionals will replace the broken belt and will probably recommend that you replace the water pump as well as the water pump is driven by the timing belt.